The garden had been allowed to get out of control. 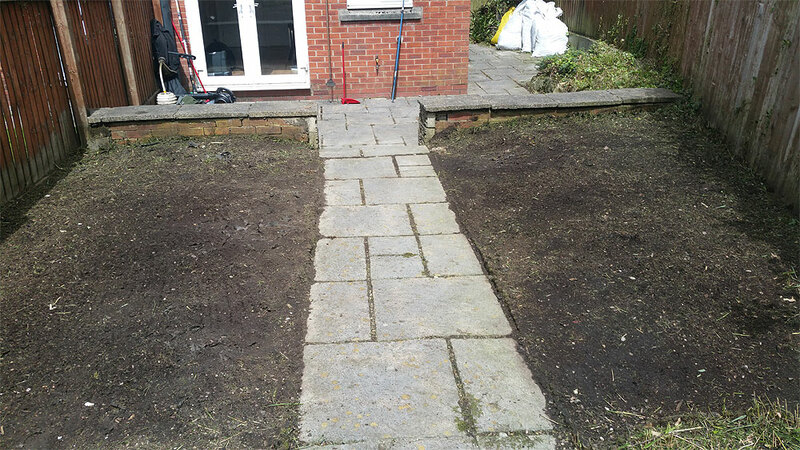 Mares Tail, weeds growing between the flagged patio, overgrown bushes had to be removed. 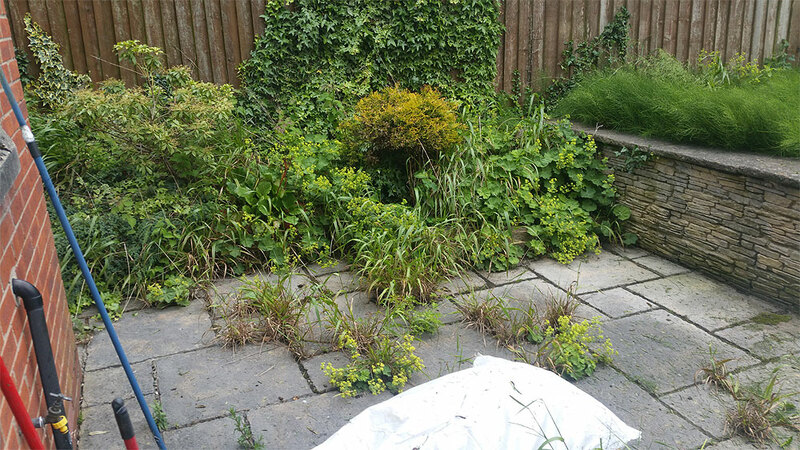 The area was strimmed and bushes taken out with a small chain pruning saw. Gardens can easily get out of control when not maintained. 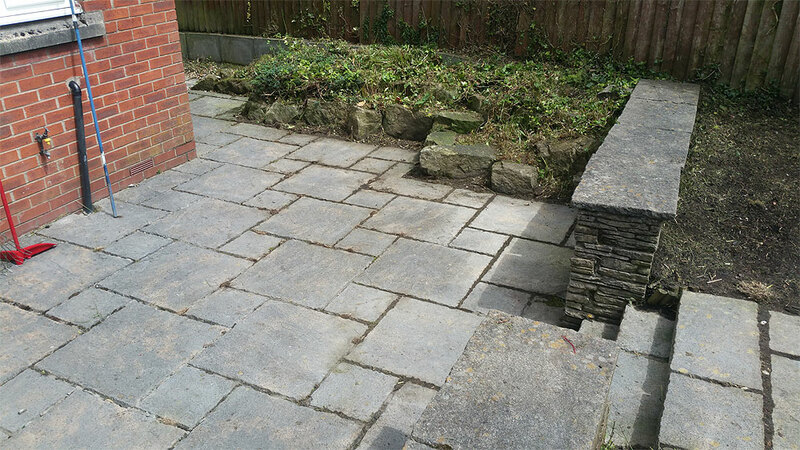 This customer and his wife were simply too busy working to do the garden which is why we were called in to sort it out for them. 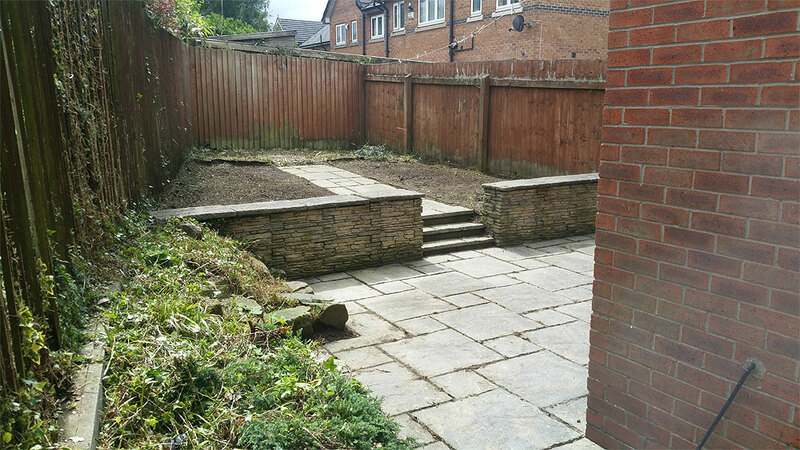 If you live in Bolton and have a garden that is out of control, we’d be happy to help. Call Ian on 07572 544435 or fill out the form below.